Classic Interiors are a team of highly experienced kitchen designers with over 30 years" experience designing, building and installing bespoke kitchens, bathrooms and bedrooms for clients across the UK. Working closely with talented designers and an expert team of fitters, Classic Interiors ensures an incredibly high level of care and detail across all work carried out to provide stunning results that are truly unique. 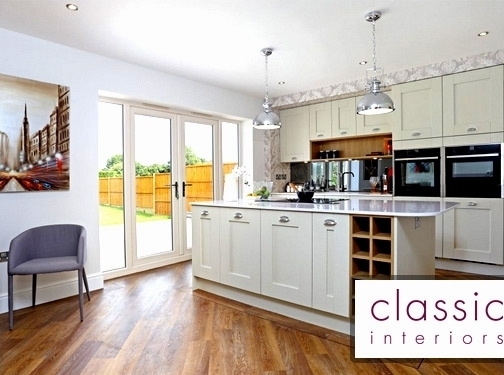 The friendly and professional team at Classic Interiors understand that installing a brand new kitchen, bedroom or bathroom is a huge and potentially stressful decision. This is why Classic Interiors goes the extra mile to ensure that every part of the process from beginning to end is as stress-free as possible. Classic Interiors have four beautiful showrooms based in Redditch, Solihull, Worcester and Birmingham where you can see some of the stunning designs and see what the team has to offer. Alternatively, pay a visit to the website where you can browse through some of the fantastic recent projects and book an initial design consultation. UK (Redditch) based business - with over 30 years' experience - providing bespoke kitchens, bathrooms and bedrooms. Website includes details of services provided, detailed "meet the team" page, details of business premises (including photos), work examples (recent projects), testimonials, terms and conditions, news/blog section, full contact details.